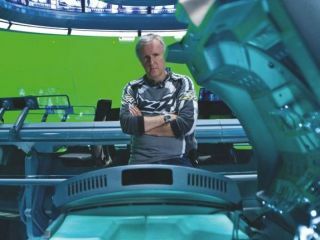 James Cameron took to the stage at Blu-Con 2010 this week to promote the new extended edition of Avatar on Blu-ray. Speaking to the packed audience – and TechRadar through satellite link courtesy of the DEGE – the director said that, although 3D is the big selling point of the movie, for him the CGI was a bigger deal. "It's funny that the press has latched on to the 3D thing for Avatar. In a way 3D was the least of Avatar for me. I had already done 3D for 10 years and created the technology six years ago. "We spent two years in R&D to develop the facial capture for Avatar, the CGI. For me this was the big thing." The extended edition of the movie will feature a full 16 minutes of extra footage which came at some cost to distributor Fox. Each minute of footage, according to Cameron, equated to $1 million in cost and this was the reason why the film was re-released in the cinemas – essentially to pay the post-production bill. This was all done, though, because Cameron wanted to utilise Blu-ray to its fullest. "I love Blu-ray. I wish all of my movies could be seen on Blu-ray," Cameron explained. "It is the image quality, it is the storage density – we can pack so much on to a disc. "We don't want to do further editions of Avatar – I want this to be definitive. There's a massive making-of and over 47 minutes of deleted scenes on the disc." There is one further edition, though, and that is the 3D version of the movie. Although no release date of this was given, Panasonic recently announced it was bundling the disc with its Full HD 3D products. "We have already mastered the 3D Blu-ray and it looks great," explained Cameron. "We are way past 3D as flavour of the month," he continued. "This is not a flirtation. "When 3D came out in the past, back in the '50s, it vanished after one year. "This is a renaissance of the technology and it will be here definitely." As for expanding 3D, Cameron believes that the lack of technology is the problem at the moment. "The biggest limitation is that we don't have enough cameras. And once we get past the last threshold – autostereoscopic – then it will be how we watch everything. "But at the moment 3D will be with glasses for the next five years." The Avatar Extended Collector's Edition has a UK release date of 15 November, courtesy of 20th Century Fox.